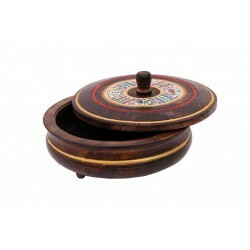 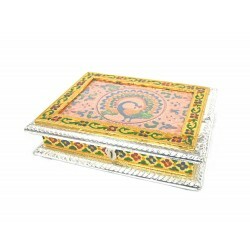 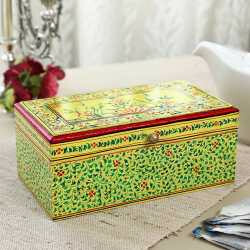 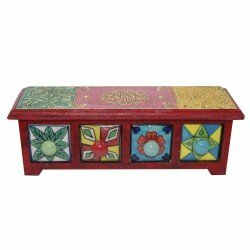 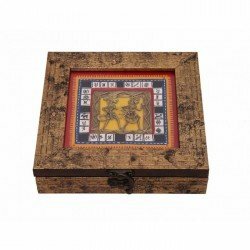 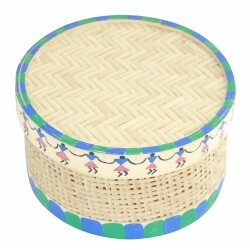 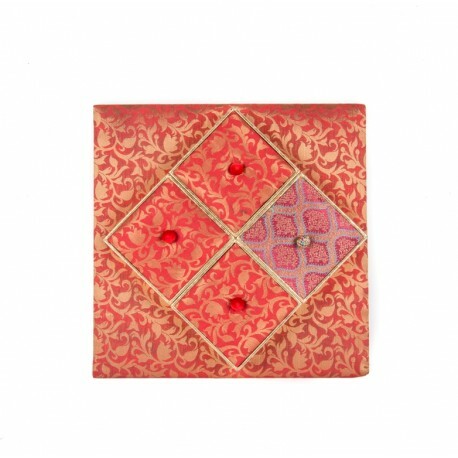 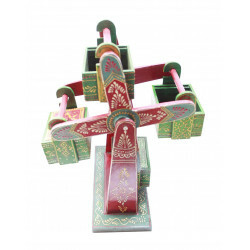 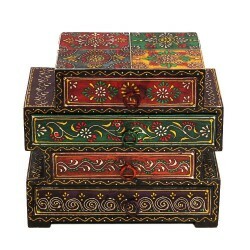 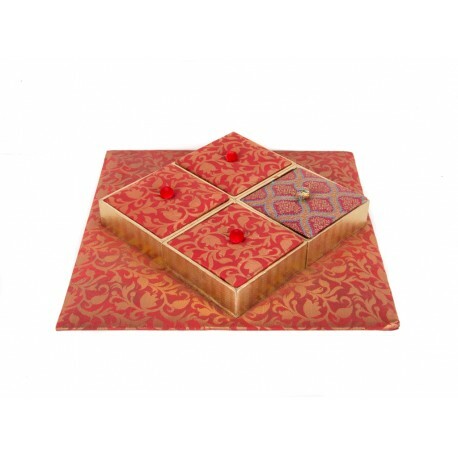 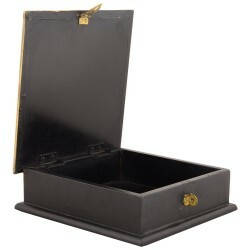 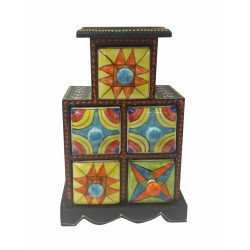 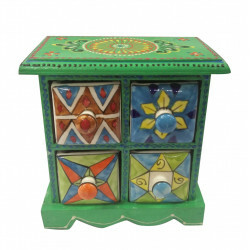 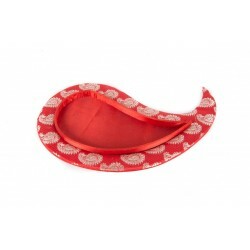 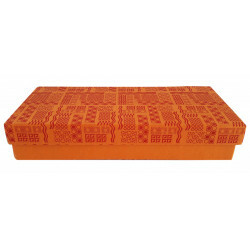 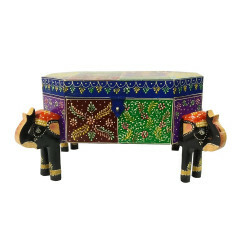 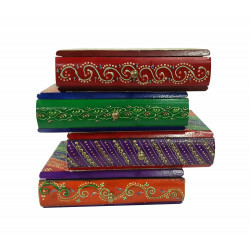 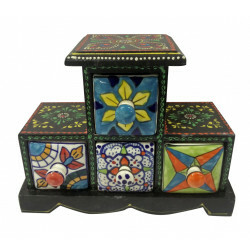 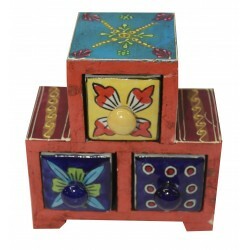 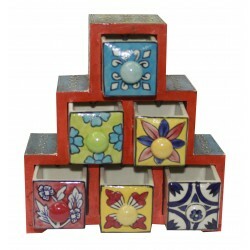 Make a statement by place this elegantly designed dryfruit box from The Ethnic Story on your table. 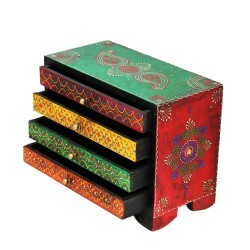 The ethnic colours and design of this stunning piece is sure to add a touch of sophistication to your home decor. 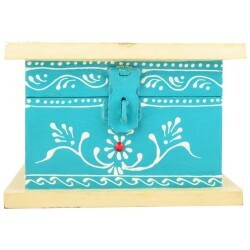 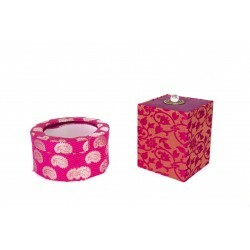 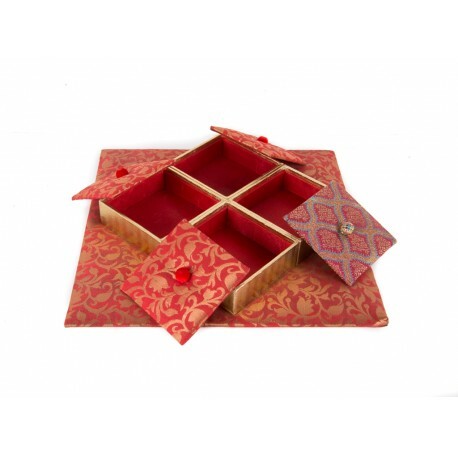 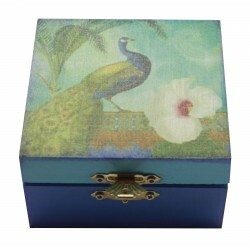 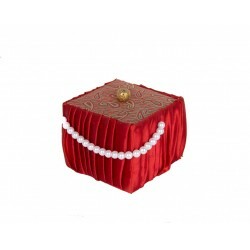 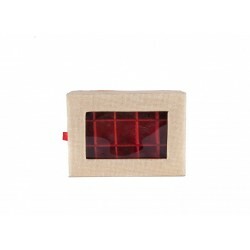 Made of MDF this dryfruit box is covered with raw silk cloth to give the piece a richer and elegant look. 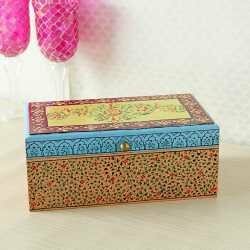 Wooden Ceramic Drawer 5 Drawer Spice Box/ Jewellery Box/ Storage Box 9" x 6"